CORAL SPRINGS, Fla. — The father of a student killed in the Marjory Stoneman Douglas High School mass shooting last year was involved in a heated exchange with a Republican Florida Congressman during a Congressional hearing on gun violence this week. The exchange came after U.S. Rep. Matt Gaetz said illegal immigration was a bigger threat than guns. 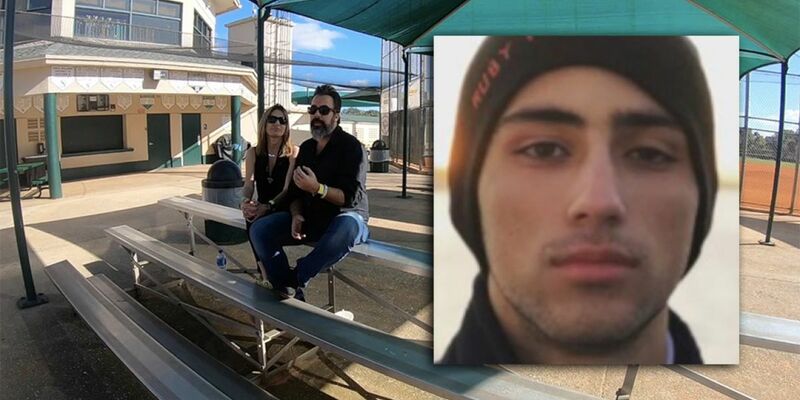 FOX 29 met up with Manuel Oliver on Thursday at North Community Park in Coral Springs, where his son, Joaquin, used to play. "Go, go Joaquin," said Manuel Oliver, reminiscing. "Good eye, good catch, or whatever." The baseball field is now named in Joaquin's memory. "Smart kid, great conversation, deep thinker," said Manuel Oliver, who formed the gun control group, Change The Ref. On Wednesday, Oliver was at a Congressional hearing about background checks for all gun sales. That's when Rep. Gaetz took the time to argue for a border wall. "There's a whole protocol to get there, to get to this hearing, and you're going ruin it by bringing up a subject unrelated," said Oliver, who interrupted Gaetz several times at the hearing. "If anyone has the power to make the other one leave the room, that's me, by voting for someone else." Oliver told FOX 29 on Thursday he’s ready to move past that exchange and continue his efforts to bring change. "Make it part of the solution," said Oliver. FOX 29 reached out to Rep. Gaetz’s office for a comment but have not heard back yet. Copyright 2019 Scripps Media, Inc. All rights reserved. This material may not be published, broadcast, rewritten, or redistributed.CORAL SPRINGS, Fla. — The father of a student killed in the Marjory Stoneman Douglas High School mass shooting last year was involved in a heated exchange with a Republican Florida Congressman during a Congressional hearing on gun violence this week.